Dikd President Bush Order The Invasion of Iraq -- In Part -- In Order To Defeat Iran's Enemies For Her? 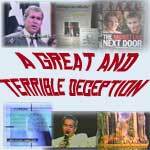 Title: Did President Bush Order The Invasion of Iraq -- In Part -- In Order To Defeat Iran's Enemies For Her? 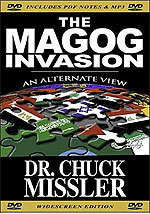 Subtitle: Most of the Islamic world believes that President Bush ordered the invasion of Iraq in order to take down Israel's deadly and persistent enemy, Iraq. Now, the same question is being asked about Iran. Despite Bush's public war-rhetoric over the past 4 years against Iran, no attack has materialized. And, the startling fact remains that America's war policy is delivering the Iraq government to Shi'ite Iran and is building Iran into a Middle East superpower! Is it possible that American policy toward Iran is, in reality, 180 degrees in the opposite direction of the public rhetoric? This incredible possibility reigns supreme in so much else which the Illuminati does that such a question concerning Iran should not throw Cutting Edge readers into shock. If you have not discovered this article, please take a few moments to read it now, for its understandings are basic to our controversial truth on this subject. Let us first review the Russian source for this most intriguing subject and then we shall study the many ramifications. The main interest in Sorcha Faal is that she seems to have a source into Russian Intelligence. That is our interest here. "Reports from within the Kremlin today are describing President Putin as being in a ‘rage’ against the United States due to that Nation's diplomatic maneuvering to bring the Persian Nation of Iran into its sphere of influence as a ‘buffer’ against both Russia and China’s growing power in the Middle East." Notice that Putin is angry because America is trying to establish an alliance with Iran, a country with which Russia has established strong relations diplomatically, economically and militarily. Russia is literally the protector of Iran. If Putin even got so much as a hint that Iran might be allowing America to court her, he could naturally get very angry, primarily at President Bush. However, this is not the first time that the relationship between Putin and Bush has declined. In the past several years, President Bush's relationship with Russian President Putin has consistently spiraled downward. If I were asked to pinpoint a time when their relationship began to sink, I would have to pick April 12, 2003, when President Putin delivered the strongest possible warning against President Bush to not to even think about trying to achieve another "Regime Change" in the Middle East. Do you remember this event? Cutting Edge has reported on this stark warning on a number of occasions. Let us review the facts once again, as they have significant meaning to our current situation. You have to admit that this warning is simply unprecedented. Russia's Putin literally placed his country's reputation on the line by telling President Bush that he had better not even try to "attack other countries under the pretext of promoting capitalist and democratic values". Had Bush launched a successful attack on another country within the region, Putin's reputation would have gone right down the drain. 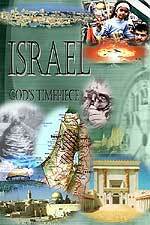 This matter is very serious, because a successful American attack against another Middle East country would cause Islamic and Arab states throughout the world to lose confidence in the very nation whom God chose 2,500 years ago to lead a consortium of nations against Israel (Ezekiel 38-39). Therefore, we have noted for quite a while that American and /or Western technology cannot now thoroughly discredit Russian Scalar Technology or the Ezekiel invasion of Israel would not occur. Furthermore, if President Bush does launch an attack against Iran, I would expect that the attack would be viewed as less than successful. Let us return to this featured article to see exactly how angry President Putin was with Bush. When a phone call from Mr. Bush failed to turn Putin's anger aside, Secretary of State Rice curtailed her planned Middle East diplomacy efforts and announced plans to travel to Moscow. "Kremlin watchers are quick to point out that Rice’s statements are ‘beyond strange’ in light of the United States actions against Russia by moving to place a missile shield around Russia in its former satellite states of Poland and Czech Republic, and which the Americans say Russia ‘can’t alter’, and the Russia’s Army Chief of Staff, General Yury Baluyevsky, has vowed to respond to as a ‘threat’." We have watched this totally manufactured crisis build up, in which America is trying her best to force the nations of the European Union and of Eastern Europe to allow America to build a missile defense shield around them, ostensibly to protect them against the non-existent threat of a nuclear attack by Iran. Only when you realize that this "missile shield" will exclude Russia and will draw European nations and nations in the Middle Eastern region near Iran toward America, does the true intent of the American effort make sense. America is trying to draw these nations away from the Russian orbit, using this missile shield as the ruse. But, the most important nation in this regard -- according to Russian thinking -- is Iran. "The World Bank has expressed its readiness to fund the Iran-Pakistan-India gas pipeline and described the $7 billion project as a `win-win deal' despite US reservations about the project. World Bank vice president Praful Patel said although the bank has not been approached by Pakistan to this effect formally or informally, the bank was ready to fund as and when approached." Most people think that the World Bank is an independently owned and operated institution. However, while almost 200 nations are part of the World Bank, the institution is an American creation. "It is important to note, also, that the World Bank President is always a United States citizen who is appointed by the American President, with the present one being Paul Wolfowitz, and who prior to being made the head of the World Bank was the United States ‘chief architect’ of the wars against both Afghanistan and Iraq." In the book "Confessions of An Economic Hit Man", the author, John Perkins, details how America has always sought to use world banking organizations as a means by which to advance American foreign policy. In this instance, President Bush is trying to use Wolfowitz's World Bank as a means by which Iran can be drawn further into the Western orbit through energy loans. Iran, on the other hand, truly hates America and intends to defeat her invasion of Iraq. Her leaders first enunciated this aim during the initial invasion, in late March, 2003. We have reported on this plan in NEWS1910, "Has Iran Ignited Many Fires To Set Off Regional War?" Shi'ite Iran planned to resist the Americans indirectly, letting them get bogged down in a guerilla war with Sunni insurgents. Iranian leadership undoubtedly knew that Saddam's plan was to stage a "strategic retreat" rather than trying to defeat the Coalition Army on its own terms. That plan has worked perfectly, as America is now thoroughly bogged down in the "swamp" that Iraq has become. You can see these expectations in NEWS1910. In the meantime, President Bush was so intent upon denying the Sunnis any meaningful participation in the new parliamentary "democratic" government he was establishing, that he allowed Shi'ite leaders who naturally feel an affinity to Iran to come to power in Iraq. Now, Iran is getting control of Iraq without having to fight the Americans on the battlefield. It is this thinking which has led Iran to forbid the Shi'ites in Iraq to retaliate against the Sunni forces who are murdering Shi'ites daily, hoping to start a civil war. Since Iran is getting what she wants without fighting the Americans, she is doing everything she can to prevent an outbreak of the type of hostilities which might topple Iraq's Shi'ite leadership. Since President Bush is getting more desperate every single day, it is conceivable that he is secretly wooing Iran in order to be able to effectively withdraw all forces from Iraq. We have posted many articles to this effect. Let us review one of those articles now. "US Cable News Network CNN says upcoming US direct talks with Iran shows that Washington needs Tehran to quell the violence in Iraq. Suzanne Malveaux, CNN correspondent, in a report from the White House said on Monday, the decision to hold talks on Iraq showed, after four years, that how significant Iran's role is in solving Iraq situation ... (the) CNN correspondent stated that after four years since the beginning of the Iraq war, it is clear US plans in Iraq have had no progress." Only Iran is holding back the Shi'ite militia, which wants desperately to counterattack against the Sunnis who are murdering Shi'ite civilians and worshippers on a daily basis. If Iran lets the Shi'ites retaliate, Iraq would be plunged into the deepest of bloody civil wars, with American troops caught squarely in the middle and unable to get out of the mess. Therefore, it is abundantly clear that President Bush needs the Iranian government to continue its policy of holding back the Shi'ites, or Iraq will explode in a bloody conflagration which will visibly give the lie to President Bush's claims of "progress". Iran is clearly getting what she wants without directly confronting the United States on the Iraq/Iran battlefields. The scenario explains in large part why President Bush has consistently talked a tough fight, without actually ordering the planes and missiles in the air. However, our original question is whether President Bush intended, from the start, to conduct his war in such a manner as to leave the region in the grip of the only nation capable of being a regional super power -- Iran. Certainly, President Bush toppled the Iraqi strongman, Saddam Hussein, with whom Iran fought an exhausting battle for over 10 years. Let us quickly review this 8-year war. The present leadership of Iran, including the current President Mahmoud Ahmadinejad, are veterans of this 8-year war, and doubtless retain many terribly vivid memories of that disaster. Saddam Hussein was clearly the aggressor, another fact which rankles Iranian leadership to this day. There is absolutely no doubt whatsoever that American President Bush and Iranian leadership shared a common enemy in 2002-2003, when American forces were amassing to begin the assault. By toppling Saddam Hussein, President Bush removed the one nation who had prevented Iran from exerting hegemony over the entire region. Bush also removed the man who had caused Iran such damage in soldiers and civilians lost, in damaged and destroyed oil infrastructure and in a tremendous loss of financial assets. The entire Islamic world believes that President Bush toppled Saddam in order to remove a permanent, and troublesome, enemy of Israel. Did Bush also intend to remove Iran's #1 enemy in the Middle East, an act which Iran could not accomplish in the 1980-1988 war? The Russians certainly believe this goal was in President Bush's mind from the beginning. They further believe that, once Iran helps the Americans save face in Iraq, America and Iran can again be friends and allies -- at Russian expense. Do you agree? Are the Russians correct? If they are, we will never see an effective American strike on Iran, because the hidden agenda both sides will be following will be aiming for reconciliation. 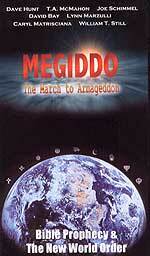 Certainly, events in the Middle East are driving the world ever closer to the End of the Age.